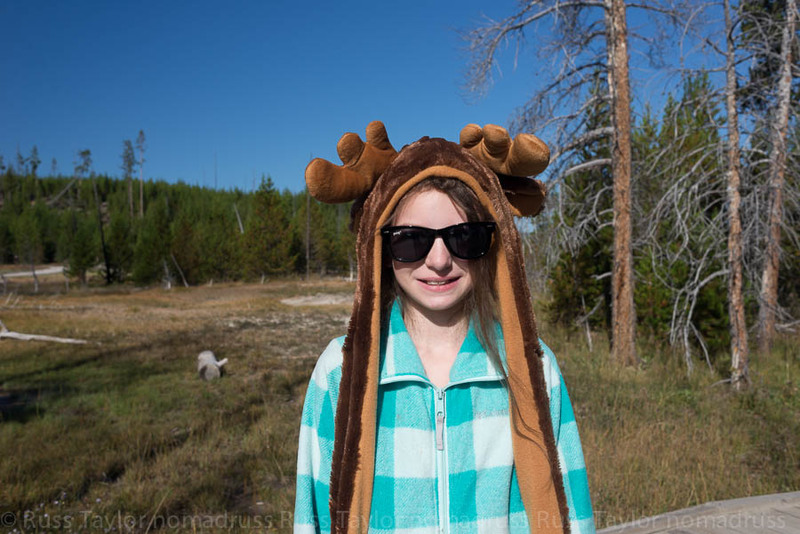 I had a couple of days in Yellowstone National Park during my summer photographic road trip. Having limited time, I spent most of my time around the Norris Geyser Basin. I’ve learned to sometimes concentrate on one place rather than trying to take in too much of the whole. The place was magical. Amazing photos! I really have to go. I’ve never been to Yellowstone, but have seen many iconic photos over the years. These are beautiful and serene. The lighting makes it so. Thats why I’m always up in the pre-dawn hours! You’re right, Russ, it’s very photogenic! What a gorgeous, varied landscape, wonderful. I’m telling you all… if you’re not following nomadruss, you’re missing out on some extraordinary photographs! I appreciate you sharing the blog and for the kind words! Beautiful landscapes! It looks almost alien to me, in a good way, as I’ve had the chance to witness such landscapes myself before. Really shows the wonder that is our Earth. Nice touch with the parting shot to bring us all back to humanity! It felt alien at times Joel, certainly a bit surreal. I like showing the amazing beauty of the earth, as it gives a glimpse into the mind of its maker. It’s a wow kind of place! One of my most favorite places! Gorgeous photos! I’m digging the moose cap! love it Russ, been there many times, but somehow my images just don’t compare with yours! You do shoot with the Creator in mind!! Beautiful Russ. Those colors are unreal. “Quite photogenic” is quite the understatement! Breathtaking more like! Yeah, it really is. Just an amazing place! Beautiful photos! You’ve really captured the wonders of Yellowstone. It’s hard to explain the natural phenomenon to those who haven’t been there but these pictures get as close to being there as anything I’ve ever seen…excellent work. Thanks a lot Mrs. P! What an amazing array of images in this series – all so very different in atmosphere. Appreciate that Vicki, it’s certainly an amazing park! I think this has to be added to my travel list bucket list! It’d be hard not to add most of our western national parks! This place looks just amazing – it is high on my wish list of places to go – and is not too far away from us up here in the Rockies so hoping for a trip next summer:) Great pictures! It might just be worth a winter visit as well! I think you might be able to convince him to do a little cross-country skiing through Yellowstone. Just imagine.